Here’s what’s up in the world of TV for Tuesday, November 1. All times are Eastern. 30 For 30 (ESPN, 8 p.m.): Due to a packed work schedule on Monday, this edition of What’s On Tonight is being penned early Sunday evening, meaning that, at the time of this writing, the Chicago Cubs and the Cleveland Indians may be scheduled to face off in another World Series game on Tuesday night. What’s a WOT writer to do? If the game happens, it’s the indisputable top pick. But does the very act of listing it before the fifth game even starts jinx Chicago’s beloved Cubs? No, best to go the diplomatic route by talking about a much safer sport: golf. Remember golf? 30 For 30 sure does. 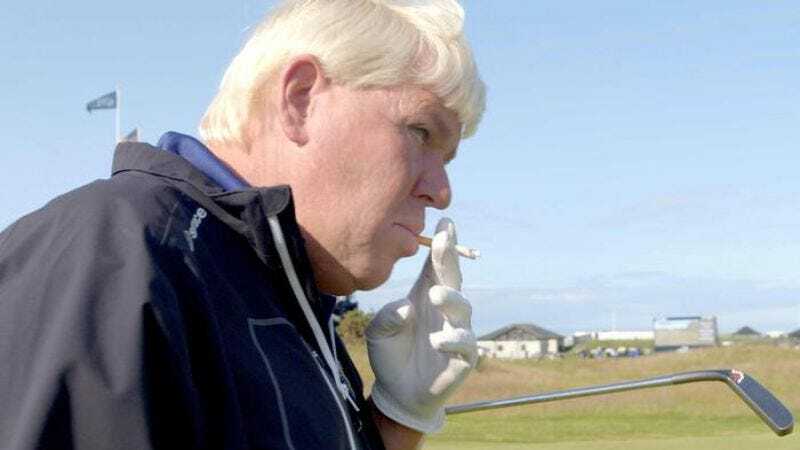 Titled “Hit It Hard,” the latest film in ESPN’s acclaimed documentary series centers on polarizing PGA champion John Daly. Noel Murray gave it an A-, meaning it may be as worthy a watch as that other sports outing. Channel Zero: Candle Cove (Syfy, 9 p.m.): Channel Zero: Candle Cove isn’t perfect, but it’s got its fair share of strengths, too. As All Hallow’s Eve gives way to the less freaky month of November, the creepypasta adaptation stubbornly stays in the Halloween spirit. Where else can you go for a creature that sets off one’s odontophobia and trypophobia at the same time? No Tomorrow (The CW, 9 p.m.): Yikes! Enough about that tooth monster. Let’s just talk about The CW’s No Tomorrow instead. While we already gave the premiere of the magical-realist series a shoutout, Lisa Weidenfeld’s been regularly covering each episode—something What’s On Tonight has failed to mention over these past few weeks. 16 For ‘16 (PBS, 8 p.m.): 30 For 30’s not the only documentary series whose title follows the [INSERT NUMBER HERE] For [INSERT SAME NUMBER HERE] format. There’s also a show called 16 For ‘16, and you’ve read about it before. Since this is the last Tuesday before Election Day, it feels appropriate to tune in for the season finale, which compares the campaigns of Barack Obama and George W. Bush, two 21st-century presidents who won two terms for very different reasons. Atlanta (FX, 10 p.m.): You don’t need What’s On Tonight to tell you why Atlanta’s so good. Joshua Alston’s there for that. What you do need us for is to make a few oh-so-clever jokes about Donald Glover’s casting as Lando Calrissian in Disney’s upcoming Han Solo film. Oh wait, his mom already beat us to it. Anyway, Atlanta’s first-season finale is called “The Jacket,” and it probably has nothing to do with this. Garfield’s Halloween Adventure (YouTube): Even though we’ve entered November, we’re not quite ready to say goodbye to Halloween, so one last horror-movie recommendation is in order. And there’s really only one choice, isn’t there? Garfield’s Halloween Adventure is way scarier than it oughta be, so much that The A.V. Club has published not one, but two features on its greatness. Revisit those articles, rewatch the special, and grumble about how the first Pirates Of The Caribbean film shamelessly ripped it off.